Elegant, purist and up-to-date: the 30 piece or 60 piece Linum cutlery set created by the Porsche Design Studio is an eye-catcher on the dining table. The combination of well-balanced proportions and brushed surfaces achieve a harmonious effect, nonetheless, this cutlery is sturdy and ideally suited for everyday use. The edges and corners of this iF Design Award winning cutlery are carefully crafted and slightly slanted. The subtle curve on the underside of the handle rests well in the hand: knives, forks and spoons feel so good that they are gladly used time and again. In addition to coffee spoons and cake forks, the 66 piece set includes a salad server, a serving spoon, a sauce ladle, a serving fork and a cake server as well as cutlery serving pieces. 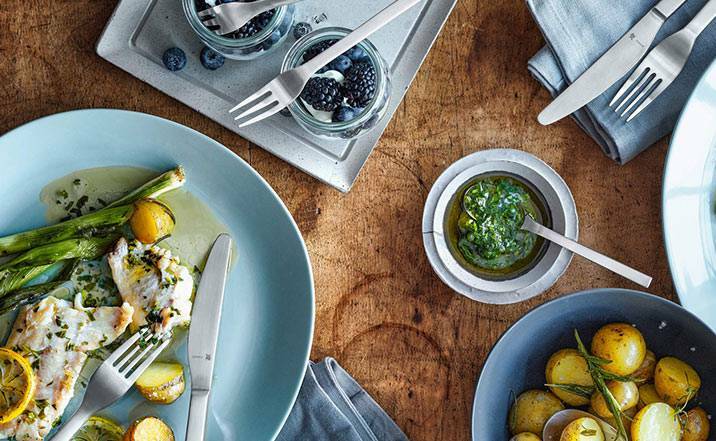 Crafted in brushed Cromargan®, this cutlery looks beautiful in any modern style of furnishing. Linum is rustproof and dishwasher safe. Cutlery that always looks as good as new even after years of use – no longer just wishful thinking but now a reality. 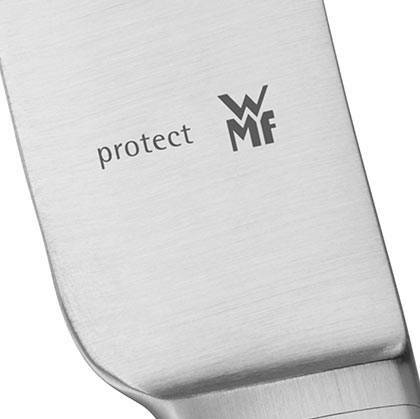 WMF Cromargan protect means the surface of the cutlery items always looks flawless. The passing of time hardly leaves a trace, even after extended use.  When WMF was the first company to use stainless steel for the manufacturing of cutlery and household appliances more than 80 years ago, this marked the start of one of the most progressive chapters in the history of cooking and housekeeping. The material, which is known by the name Cromargan®, cannot tarnish, is rustproof, acid-resistant, unbreakable, easy to clean and so is extremely durable. 150 years after its first cutlery model was launched onto the market, in 2009 WMF introduced cutlery finished with Cromargan protect. Cromargan protect is produced using a thermochemical treatment process. This involves adding nitrogen to stainless steel at high temperatures, which penetrates into the material and results in a much harder surface after it cools down. This makes the material extremely resistant against signs of wear, and means it still looks as good as new even after years of use. Even intensive use and frequent cleaning in the dishwasher has no adverse effects. Polished surfaces never lose their shine, and matt surfaces stay matt. A brilliant innovation, which is patented and internationally protected by the WMF brand. Your cutlery stays looking as beautiful as on the day you bought it. Polished surfaces stay shiny, matt finishes stay matt. Unique WMF design that gives you pleasure every day. WMF Linum Cromargan protect Espressolöffel Set, 6-tlg.